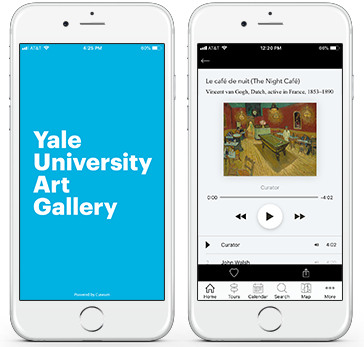 Take a tour of the Gallery with our new mobile app, now available as a free download for iPhone, iPad, and iPod Touch from the App Store. This engaging audio guide lets you explore the museum and learn about our collection from curators, scholars, conservators, and students. For non-Apple devices, visit the web-based app. App made possible by the Ellen and Stephen D. Susman, B.A. 1962, Fund. Software platform © Cuseum, Inc.